Mike Simm has been a professional director since 2002 and is a Chartered Fellow of the institute of Directors. Mike is currently Chairman of Waitangi Ltd, and a director of Ngapuhi Asset Holding Co, Taharoa Ironsands Ltd, Kerikeri Village Trust , and director/trustee of several smaller Northland entities. Mike trained as an accountant and worked at Rheem in both New Zealand and Australia and at McConnell Dowell and McConnell Group before becoming Executive Director and shareholder of Fullers Bay of Islands. After selling out of Fullers in 2001, Mike was active in the tourism and engineering sectors and in economic development serving as director/trustee/advisor in a number of related companies, trusts and local and central government entities. Mike has also focused his attention on youth development and transitions from school to work, particularly through is work as Trustee of various community trusts including Enterprise Northland and Northland Youth Development Trust. John Blakey was the CEO of Competenz until December 2015. He has over 20 years’ experience in vocational education and training. He is currently a professional director and executive coach. John has played a pivotal role in the evolution of industry training in New Zealand over the years. Prior to joining Competenz he was the CEO of FITEC, the forestry industry training organisation, for nine years. He was a two-term Tertiary Education Commission commissioner and Board member, and past Chair of the Industry Training Federation. He has led the industry training policy position on the Tertiary Education Advisory Commission and its successor, the Tertiary Education Commission. Bryn Thompson is the founder and CEO of Christchurch based Metalcraft Engineering Company Ltd and its international brand, The Glass Racking Company. He also is a Director of Cassem Holdings – a small commercial property company. 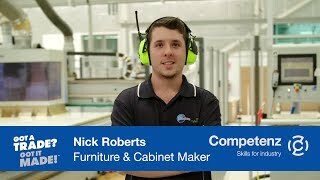 Bryn is a proud member and Junior Vice President of the NZ Manufactures Association. Bryn comes from a trade background having completed an apprenticeship as a Fitter/Welder Section B with Southern Cross Engineering, before traveling and working in England within the steel fabrication sector, then returning home to start his own fabrication company in 1990. Bryn is passionate about supporting young and talented tradespeople through their apprenticeships, and has shared a close relationship with Competenz for the past 22 years. He has also been a volunteer mentor through the NZ Business Mentor programme for the past eight years, and current Chair of one of the Amplifier boards for local Christchurch companies. Judy Newcombe is currently the Director of Cross Functional Change at Fonterra and has many years of experience in the field of organisational transformation and change management. Judy has held a number of senior management roles in some of New Zealand's top corporates including TOWER NZ, Telecom and Fonterra. She has also had a distinguished career in management consulting with KPMG and its successor BearingPoint, becoming one of the New Zealand managing directors of this firm. Her expertise is in guiding organisations through the development of new strategic directions based on deep understanding of market opportunities and customer needs as well as facilitating organisational transitions. This expertise will strengthen the Board’s governance role during a period of significant expansion and growth for Competenz. Tupara Morrison is of Te Arawa descent – Ko Ngāti Whakaue te Iwi, Ko Ngāti Pūkākī, Ngāti Hurungaterangi ngā hapū. He is a Massey University business studies graduate, Chartered Accountant, and member of the New Zealand Institute of Directors. Tupara has extensive governance experience within the health, tertiary education, iwi development and tourism sectors. Alongside Competenz, Tupara maintains his ministerial governance appointments to Te Puia – the New Zealand Māori Arts and Crafts Institute in Rotorua, and Meteorological Service of New Zealand Limited in Wellington. Tupara works at Geneva Healthcare in Auckland as Executive Cultural Advisor. He also provides advisory services to other organisations in the health, dispute resolution, education and tourism sectors. George Adams has 25 years’ experience leading companies in New Zealand, the Pacific and Europe which has given him an in-depth appreciation of the benefits of industry training to learners, companies and the country. He is the former chair of the NZ Food and Grocery Council and currently holds chairman and directorship roles on the boards of the Occupational Health Advisory Board, the Business Leaders Health and Safety Forum, Mix Cosmetics,Apollo Foods Tegel Group Holdings, Insightful.Mobi and Nexus Foams Ltd. He also led the 2014 Independent Forestry Safety Inquiry. George is an experienced professional director and a strong advocate for the FMCG, forestry, and health and safety sectors. Bill Newson is the current National Secretary for the Engineering, Printing and Manufacturing Union (EPMU) and was elected to this role in June, 2011. He has extensive experience in the field of employee representation. Bill has a trade background with an involvement in ITOs and trade training since the introduction of the Industry Training Act. He has played a significant part in the development of engineering apprenticeship training trusts. Bill is a trustee for the ATNZ Trust which currently employs over 300 engineering apprentices and seconds them to employers nationwide.